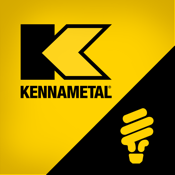 Kennametal Innovations app features interactive demos of the latest standout tooling for turning, drilling, indexable milling, solid end milling, and tooling systems. Faster speeds, more output, much longer performance life. See what makes these tools different from others on the market and learn what that difference can mean to your better bottom line.